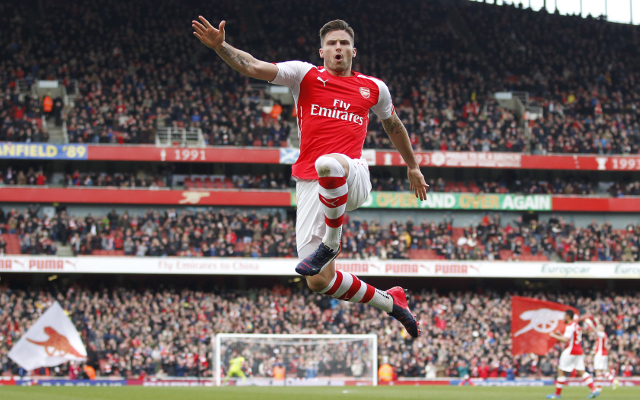 Video: Great Olivier Giroud goal gives Arsenal lead in Monaco – can the Gunners pull this off? Olivier Giroud has put Arsenal a goal ahead in the 36th minutes of their Champions League second leg tie away at Monaco, leaving the Gunners needing to score two more to have a chance of progression in the tournament. Can they do this?